It is normal to feel sleepy at night, particularly around the scheduled bedtime. However, there are instances where a person may feel dizzy especially in the evening and more so if they are awake past their bedtime. While dizziness can be due to a host of dietary and medical conditions, there are also other factors that can contribute to late night dizziness. Episodic dizziness is usually due to some preceding event. For example, you may feel dizzy if you have not eaten for a long period, especially if you are diabetic. Standing up suddenly from a sitting or lying position can also cause dizziness in a person who has benign postural hypotension. However, these episodes can occur at any time of the day if the trigger is present. With late night dizziness, the feeling of being unsteady or about to faint correlates with the time of the day. Most of us do not realize that our body has a 24 hour biological clock. There are changes that occur during these cycles, some of which can contribute to dizziness. Not all of the causes of late night dizziness is pathological (due to a disease). Some are a result of the physiologic changes in the body that may occur in the later hours of the day. There are many reasons why dizziness may occur. It can be related to changes in blood pressure, blood glucose levels, the balance mechanism in the inner ear as well as the central nervous system (brain and its associated nerves). Dizziness is a common symptom in many medical conditions which may be present. It can also occur with pregnancy and other physiologic states. Dizziness may arise with other biochemical changes, including the actions of certain chemicals like medication, illicit substances, alcohol and stimulants. While all of these factors can contribute to late night dizziness, there may be specific factors that may account for the timing. If there are no pre-existing medical conditions like diabetes, heart disease or abnormalities with blood pressure, then the following factors must be considered as a possible cause of late night dizziness. WARNING: Dizziness at any time of the day must be investigated by a medical professional. Emergency medical care is necessary when dizziness is followed by a loss of consciousness. Similarly medical attention is immediately required when dizziness occurs with symptoms like chest pain, excessive sweating, difficulty breathing, weakness and numbness on one side of the body and any loss of senses. These are some of the symptoms of a heart attack and stroke which are medical emergencies. The effects of fatigue can extend beyond just that tired feeling. With excessive mental or physical activity. the extreme tiredness (fatigue) that results may cause symptoms like dizziness. It is also the body’s way of signaling the need for rest. By late evening, especially if a person passes their bedtime, these symptoms of fatigue can intensify. It is not uncommon to experience morning dizziness if you had insufficient sleep. 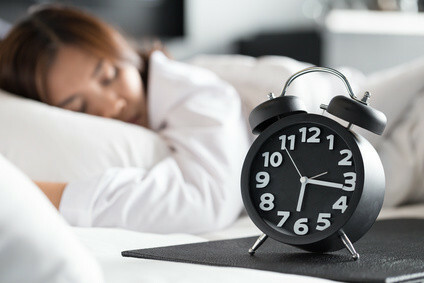 However, sleeping too few hours can also affect you later in the day even if you were without symptoms in the morning. By being active throughout the day, the body is taxed without having sufficiently recuperated from the previous day. As a result, a host of symptoms can arise by late evening which includes dizziness. Dehydration is another factor that may contribute to late night dizziness. While the immediate effects of losing water and electrolytes may not be immediately apparent, symptoms of dehydration may appear by late evening. Feeling lightheaded or dizzy are common symptoms of dehydration. It is more likely to occur after a hot day or strenuous physical activity without adequate hydration. The consumption of alcohol and caffeinated beverages like coffee can also contribute to dehydration. Read more on ways to treat dehydration. Dinner or supper may not enjoy the status of being the ‘most important meal of the day’ like breakfast. However, every meal is important to maintain the body’s nutritional needs. Skipping the evening meal can cause low blood glucose levels and hasten fatigue which in turn can lead to dizziness. It is further compounded if nutrition throughout the day was inadequate. Dizziness can arise with the use of medication as well as when certain medication wear off. Some drugs are prescribed for nighttime use or to be taken only in the evening. If dizziness is one of the side effects of these drugs, then it will understandably occur at night when the drugs are consumed. However, medication that is taken in the morning can wear off by the evening. If dizziness is a symptom of the disease being treated, then these symptoms may recur by late in the night once the effects of the drug have worn out. The body requires at least 7 hours of sleep in a 24 hour cycle. However, these 7 hours cannot occur anytime in the day. Most people have an established sleep cycle which corresponds to daylight and nighttime. As daylight subsides, a hormone known as melatonin is secreted in larger amounts. This partly causes the feeling of sleepiness. While that sleepy feeling is not the same as dizziness, it is not uncommon for it to be described as such. Furthermore, underlying medical conditions can result in an extreme sense of sleepiness with dizziness. Activity within certain organs and systems changes during the course of the day. This is the body’s 24 hour biological clock known as the circadian rhythm. Changes in blood pressure and blood glucose levels can occur with alterations in heart and pancreatic activity, respectively. It can result in low blood pressure and low blood glucose levels at certain times of the day which may account for late night dizziness in some people. Dizziness can be a symptom of psychological stress. While this may occur at any time of the day, it is more likely to occur around the time of the stress. If there are psychosocial factors that contribute to evening stress, then dizziness may be pronounced at this time of the day. It is also more likely to occur in the backdrop of mental health conditions like depression and anxiety disorders.